David Austin® fragrant English roses are premium roses that are highly sought after from coast to coast. 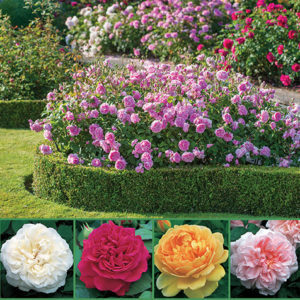 These elegant and cold-friendly roses perform fabulously in the ground or in containers. From late spring until frost you will enjoy the deeply-fragrant blooms with scents of lemon, tea and old rose. 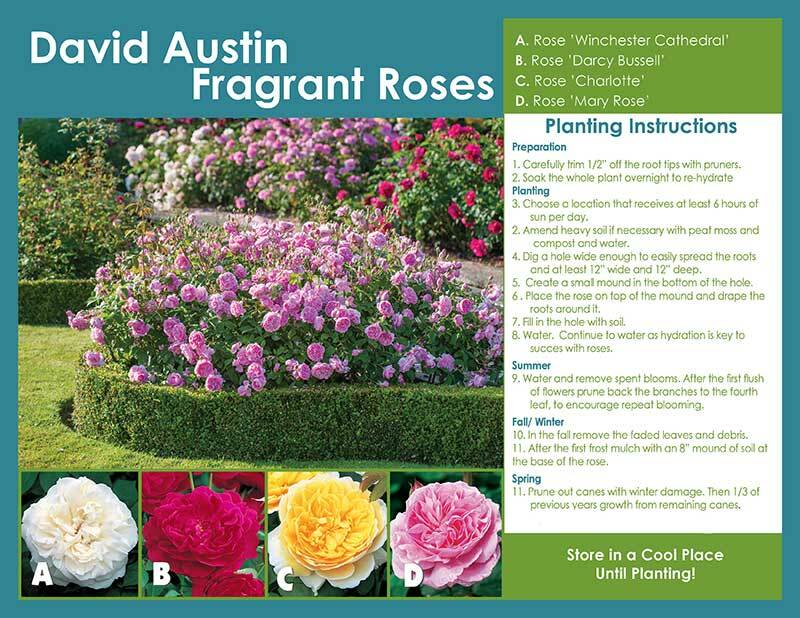 This collection includes 4 varieties of premium David Austin® fragrant roses. 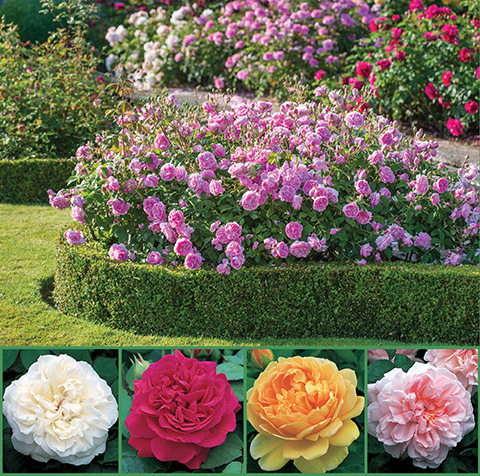 The roses in this collection are Grade 1 size and grown on “own root” stock which means that you will have large multi-branched rose bushes that are ideal for colder areas. The blooms are wonderful cut flowers, so remember to bring some indoors and brighten a friend’s day too! Complete planting and care instructions are included.